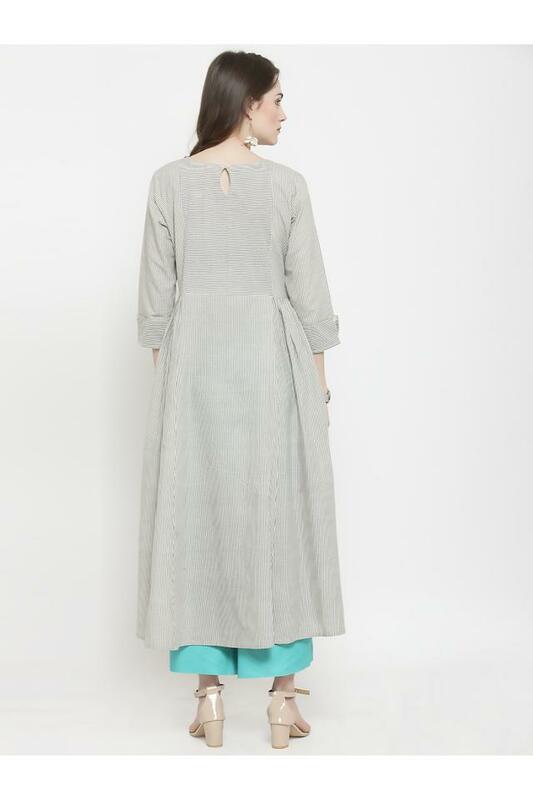 Designed for every fashionista, this kurta and palazzo set is introduced by the famous clothing brand, Varanga. It has been crafted with care using fine quality fabric that will ensure you a hassle free maintenance. Besides, featuring a round neck, it also comes with a stripe pattern that lends it a stylish look. Rev up your style statement by wearing this kurta and palazzo set. Club it with a pair of slip on sandals and wedges to complete your favourite look for any casual outing.